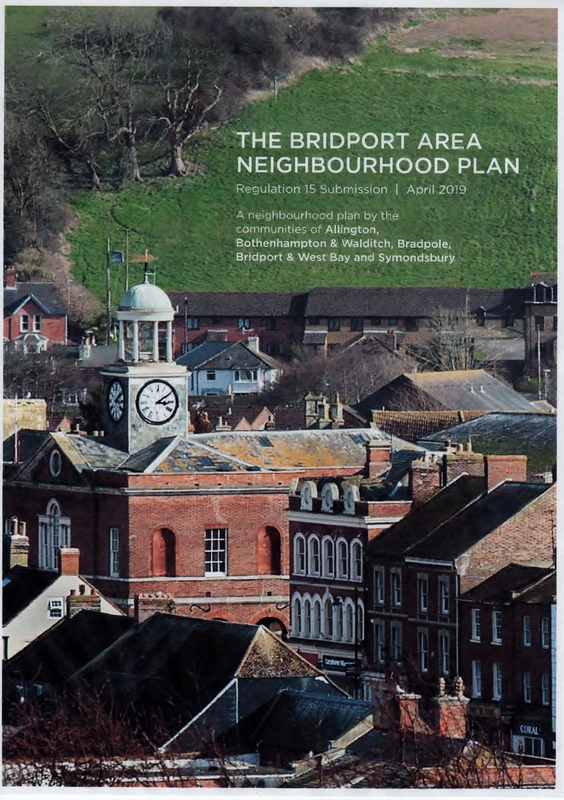 In 2014 West Dorset District Council asked Bradpole Parish Council to join four other local councils to form the local JOINT COUNCILS’ COMMITTEE to prepare a Bridport Area Neighbourhood Plan (BANP). When completed, a Neighbourhood Plan will sit alongside the adopted Local Plan forming part of the formal Planning structure and will be taken into account when assessing the suitability of new development proposals. 27 March. The Joint Councils Committtee of participating parishes take ownership of the draft Plan from the Steering Group this week to present to the various councils for their consideration. Target date of submission to WDDC remains by the end of March ahead of Dorset Council unification. 21 March. Bradpole Council holds an extraordinary meeting to consider both the draft submission documents and a 17-page Govt funded “Health Check” which reveals that a number of changes are to be made. 11 February The Shadow Dorset Council Executive supports a suspension of the West Dorset Local Plan Review i.f.o. a new Dorset Council Local Plan scheduled for 2023. See: Minutes of Shadow Dorset Exec Feb 2019 This decision will have to be ratified by the new Dorset Council. 7 February Joint Councils advised that the BANP team are working with WDDC to achieve a submission of the draft neighbourhood plan by 31st March 2019 ahead of Council unification. January 2019 – Late January submission deadline unlikely to be met as work continues on re-writing policies. Bridport Town Council committee told that gathered evidence does not support policies (Housing & Centre of Bridport) as currently drafted and that the Joint Councils Committee will need to decide those policies that should be carried forward. Committee minutes item 47. A Primary responsibility of Bradpole Parish Council is to represent the views of residents of the Civil Parish. These representations are agreed by the council, as a corporate body, and reflect the responses and views expressed by residents in various consultations and public gatherings. As well as providing an opportunity for residents to have a say on future developments within their communities a Neighbourhood Plan also provides an important opportunity to identify the green spaces, landscape and historic features to protect within our communities. see Protecting Bradpole’s Landscape. A local Neighbourhood Plan has to comply with the adopted 2015 West Dorset Local Plan which is itself under review. The current review. This review is awaiting further direction from the new Dorset Council. All three areas are rated as having an overall moderate-high sensitivity.